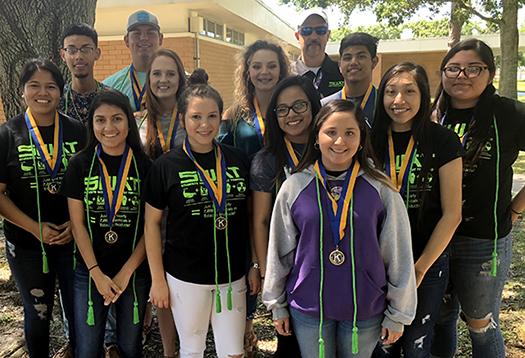 A big congratulation is in order for 15 seniors of the Okeechobee High School SWAT Club who earned a SWAT Club honor cord to wear at graduation. Seniors who qualified to earn the cord had to meet a rigorous set of expectations in order to be awarded the cord. SWAT Club uses the cords to attract new members at the beginning of each year during their club rush event. Many students join SWAT because they have parents or loved ones who are tobacco users and want to break the cycle of addiction in their family and educate other. Others join the SWAT club because they enjoy the community events and giving back to their community.